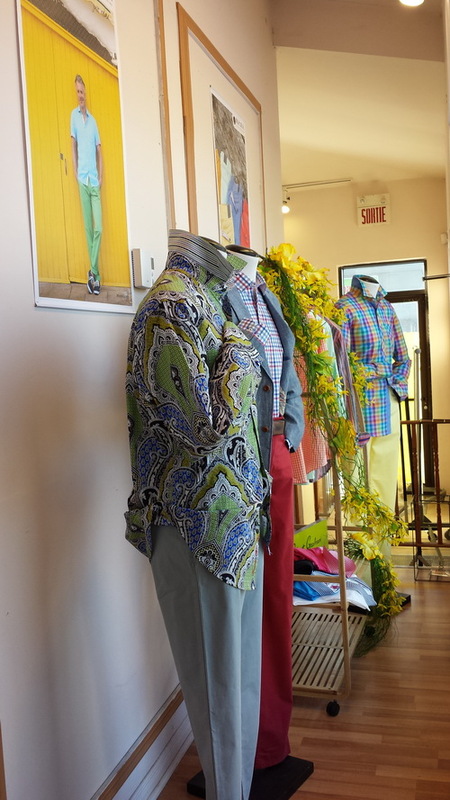 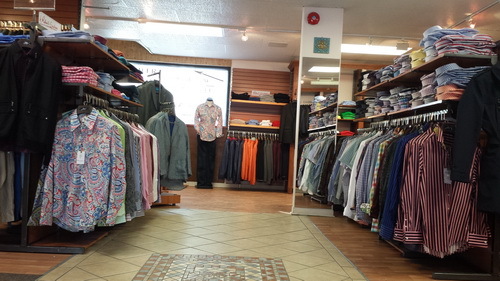 You can look sharp if you shop smart at this neighbourhood corner store which has deals on fine men's clothing, some with well known names: Alberto, Baumler, Michael Kors, Brax, Jack Victor, Jacques Britt, Fred Perry, m.e.n.s, S.Cohen, Tommy Bahama and Robert Graham. 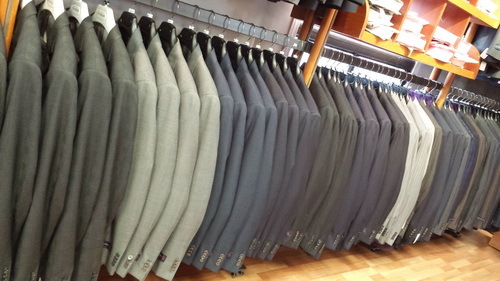 Helpful salesmen will find you pants starting at $85 (to 50) and shirts (to 2XL) starting at $55, suits (to 56) at $350 - $995 with alterations included. 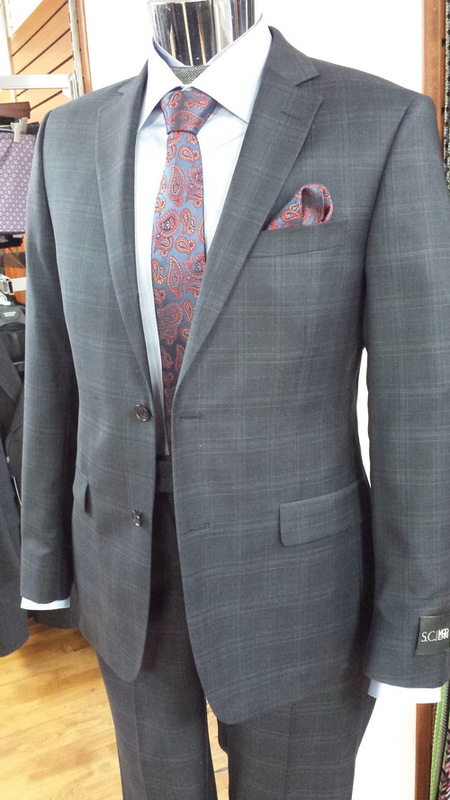 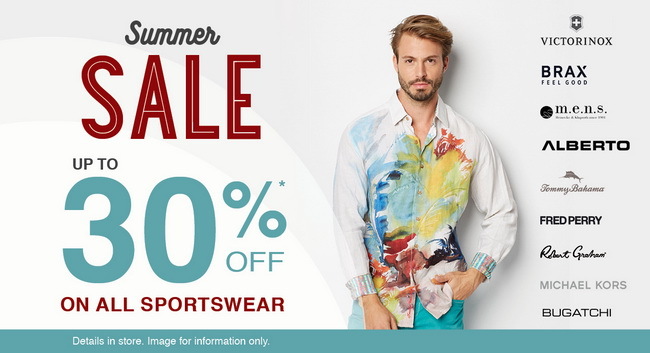 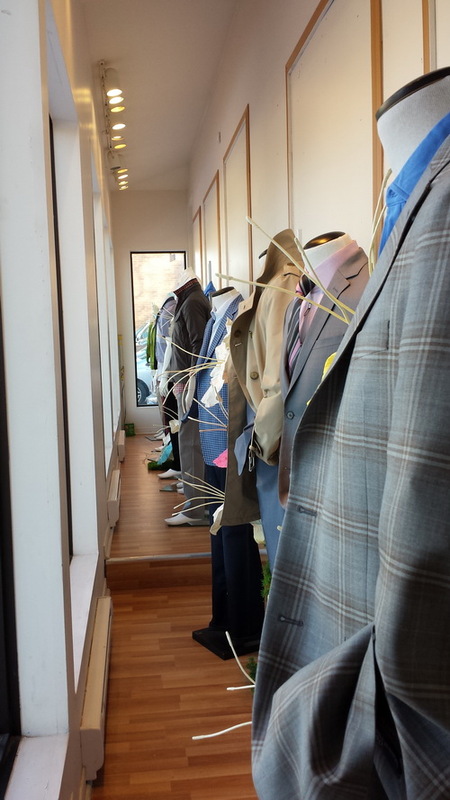 There's sports jackets $295 and up, sweaters, outerwear and free on the spot alterations. 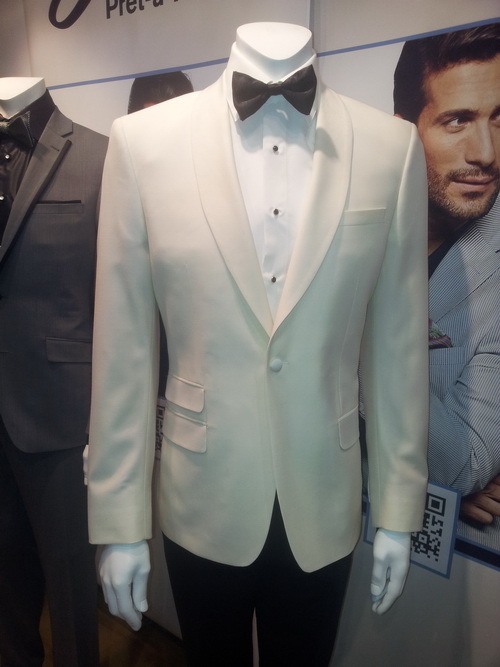 There are also made-to-measure suits, pants, vests and sport jackets and some suits for athletically built men. 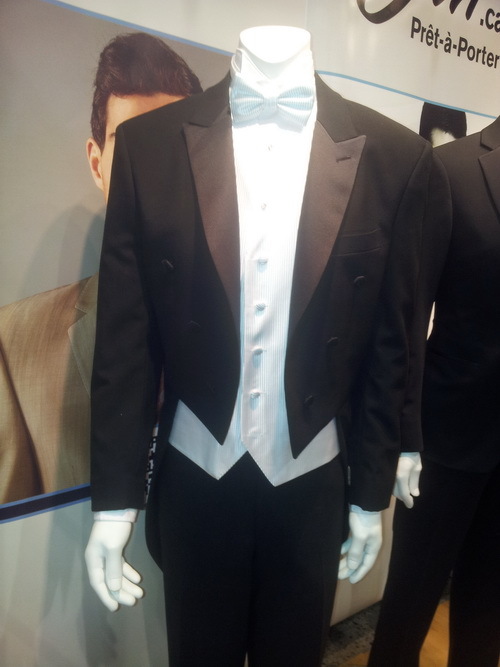 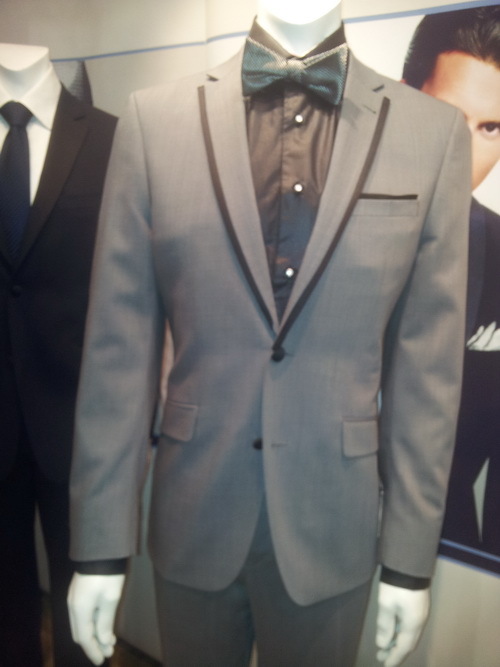 Ask about tuxedos and rentals, and if you need them, boys' suits in sizes 6-20. 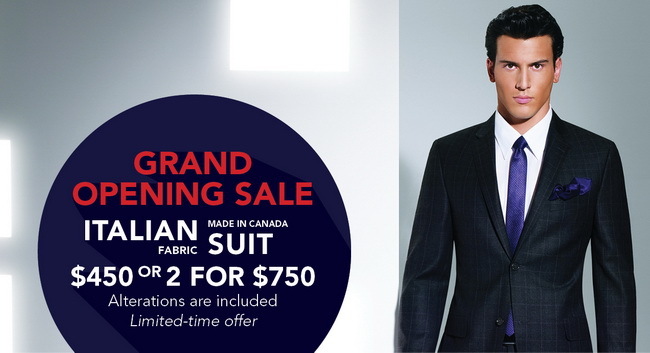 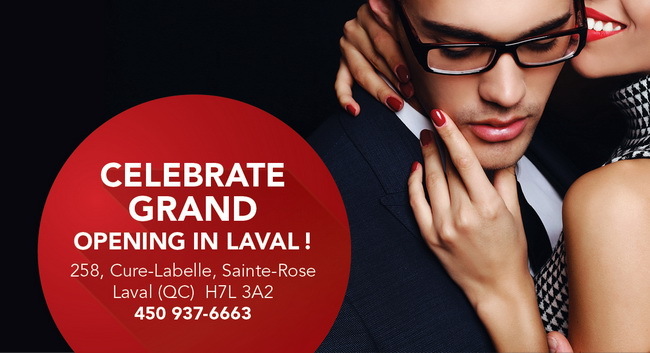 They have a liquidation store in Laval where the prices are even better; the suits start at 139$ plus taxes and alterations and the shirts at 10$ with sport jackets only 75$ and up.